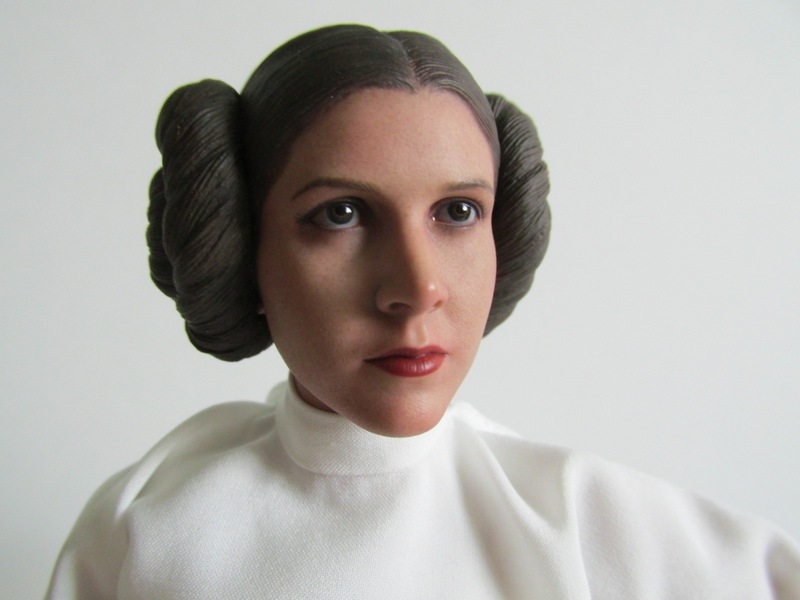 Well, it looks like the entire main cast from Episode IV: A New Hope has finally been released with Princess Leia. 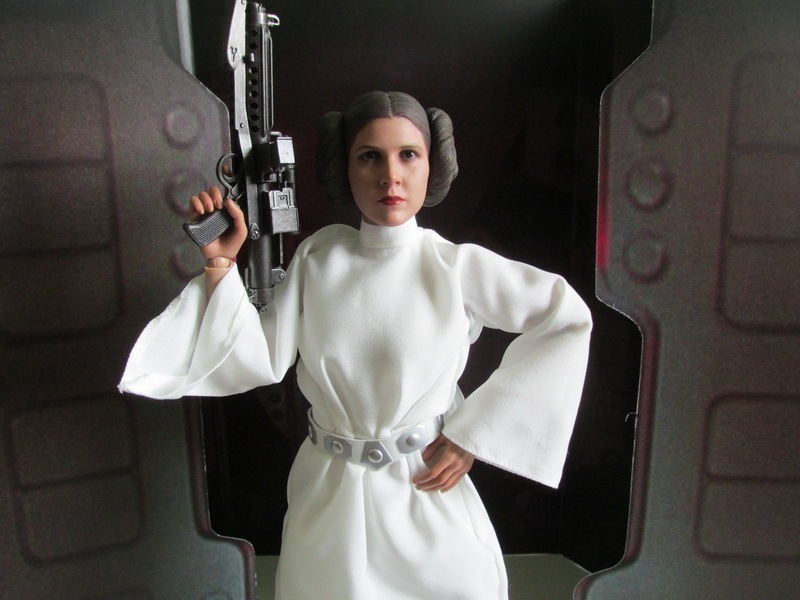 I managed to secure the exclusive version which comes with a special back drop for this figure. 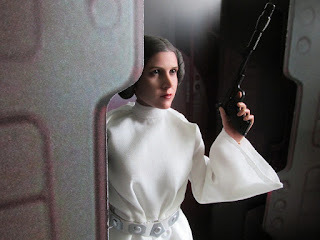 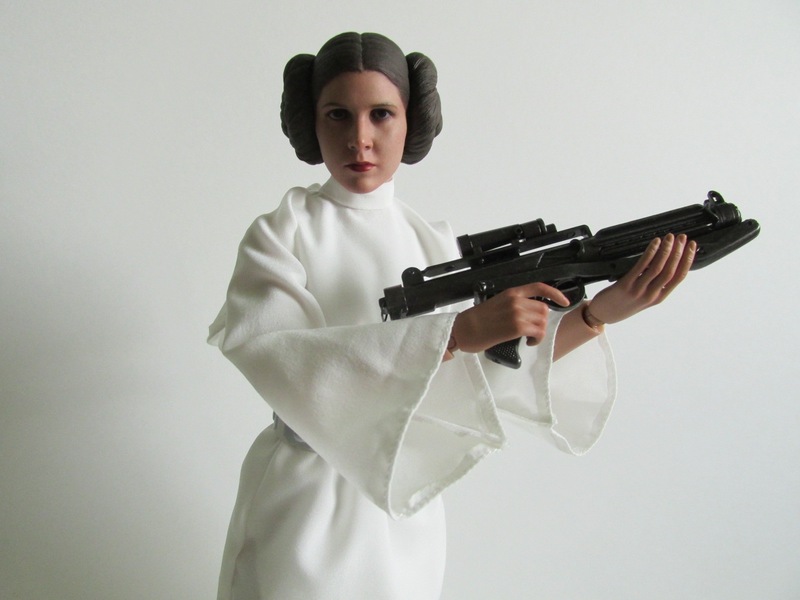 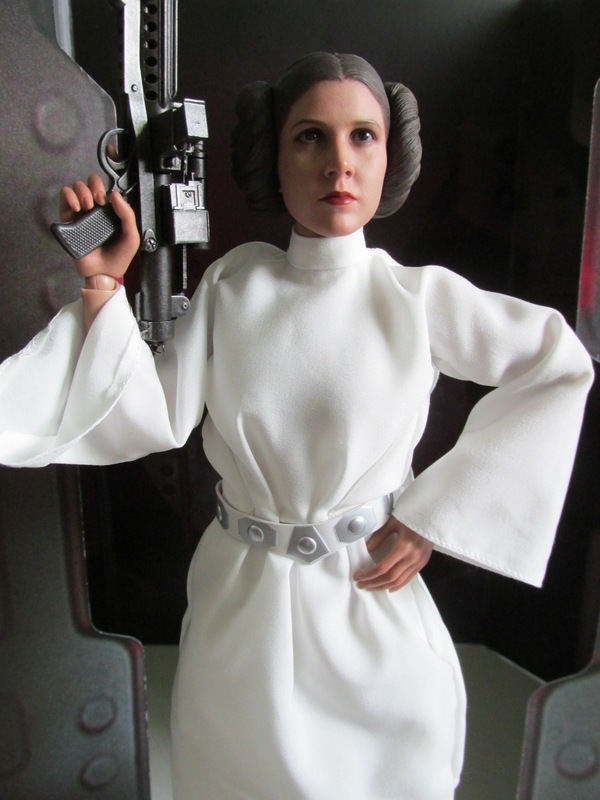 Hot Toys has once again managed to capture an authentic representation of the character and Carrie Fisher. 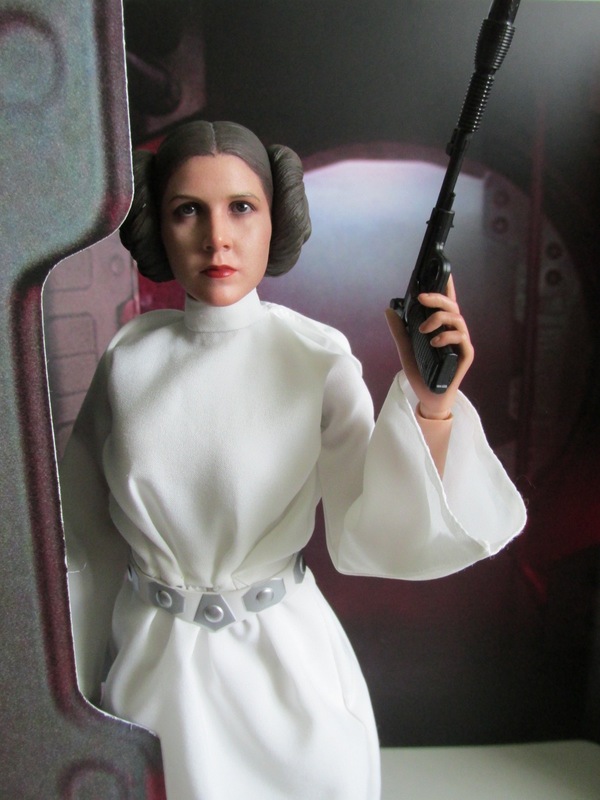 In hand the sculpt looks great and has perfect serious expression. Lately some facial expressions used for other releases from Hot Toys have been hit or miss, but their Star Wars lines have been very consistent with the right choice an expression. 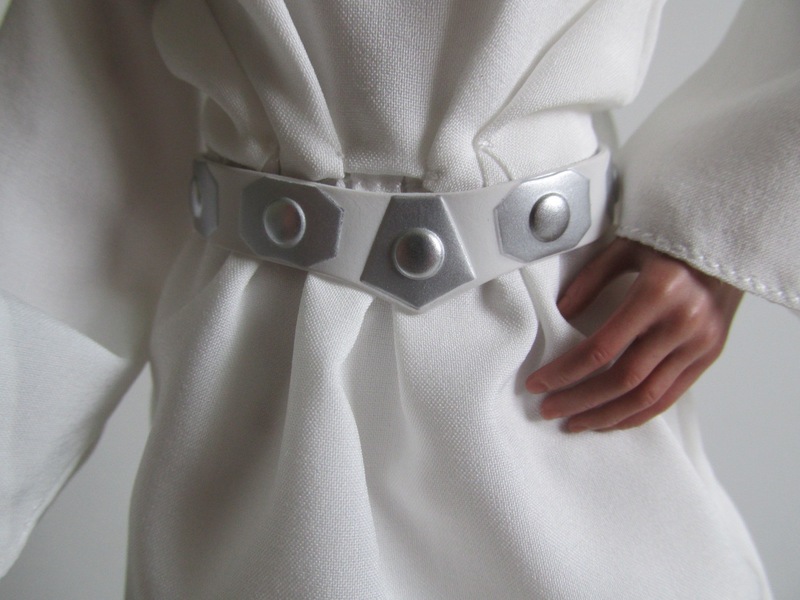 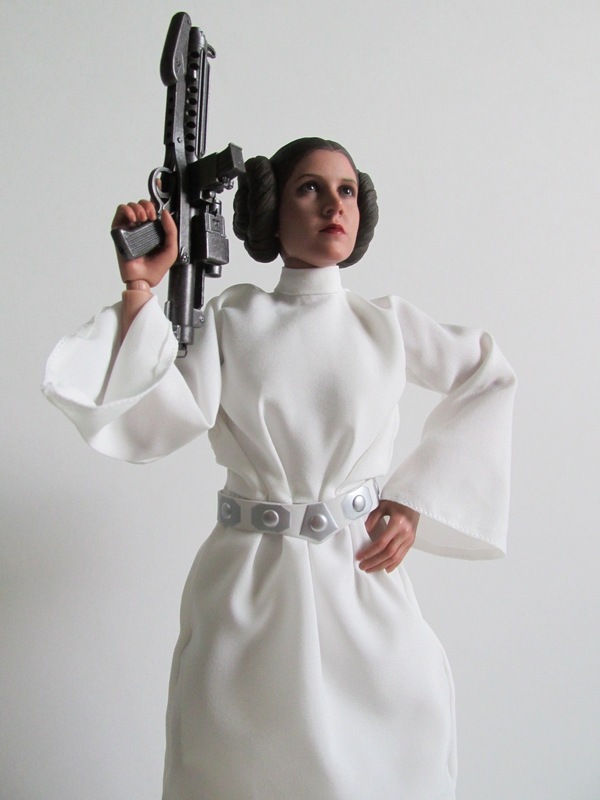 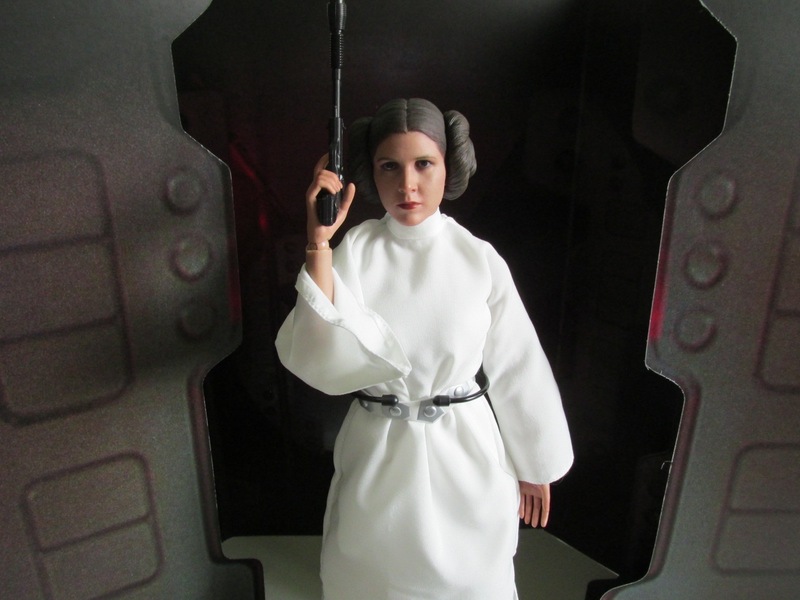 Leia comes dressed in her classic white dress from Episode IV. 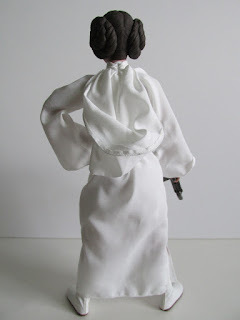 The costume is like a chiffon like material so its pretty flexible. 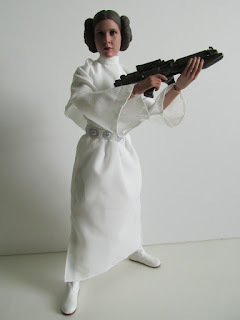 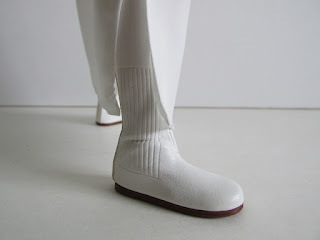 She comes with white boots that are also another nice touch to detail. One of her other features is her hood which is quite large and has a wire in the hem of it for some articulation. Her accessories are quite lacking. 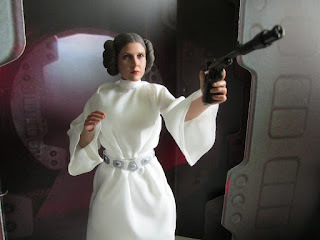 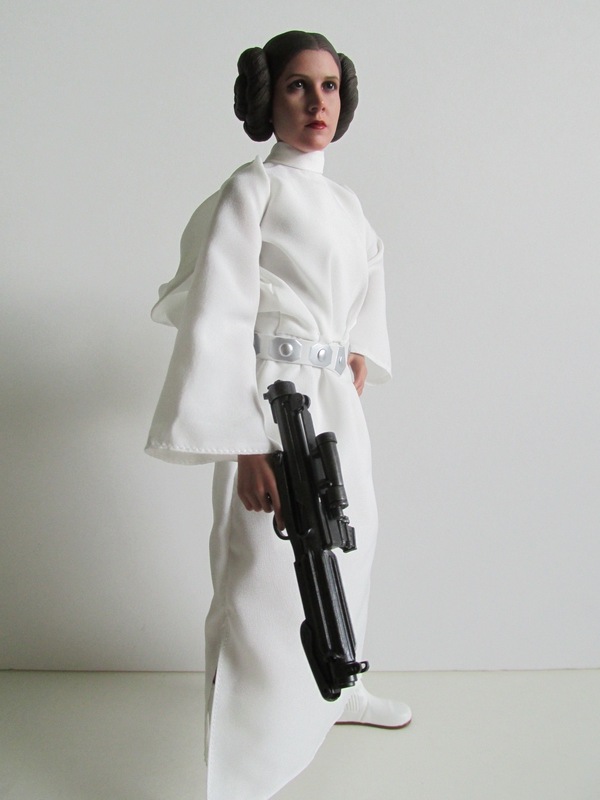 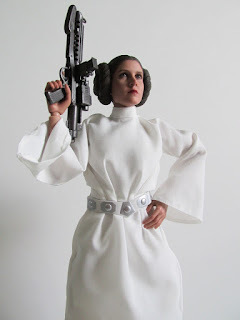 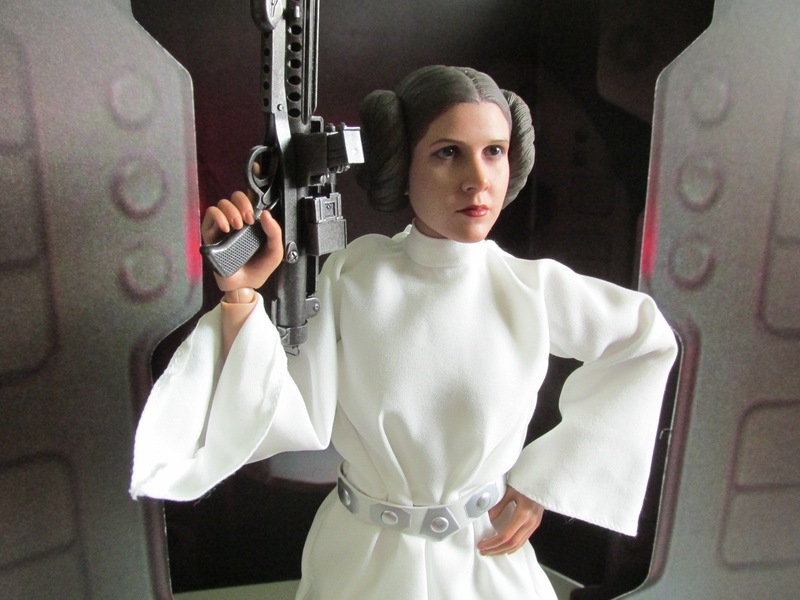 She comes with one blaster, one Stormtrooper blaster, base, one right hand for a gun, a pair of relaxed hands, one left hand for a gun, and another left hand to hold the shaft of a gun. 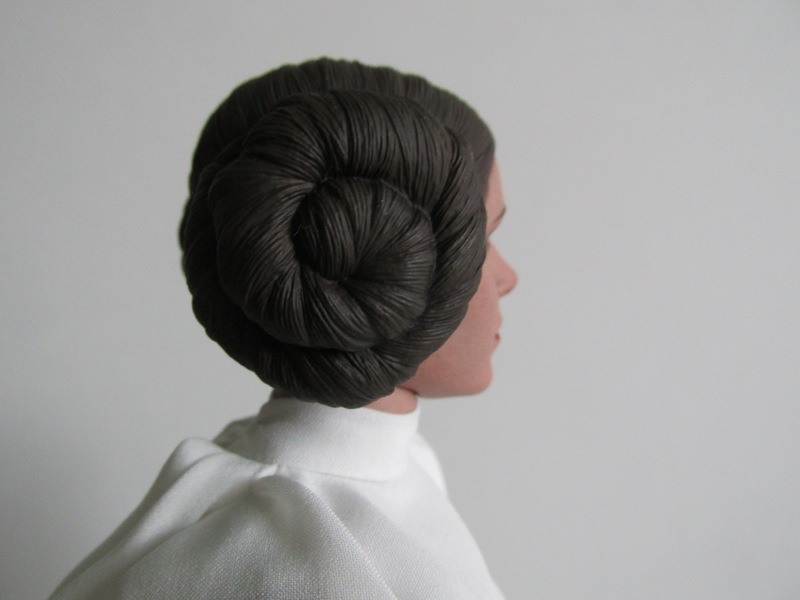 The Exclusive version comes with a special paper back drop from the scene when she gives R2-D2 the plans for the Death Star. 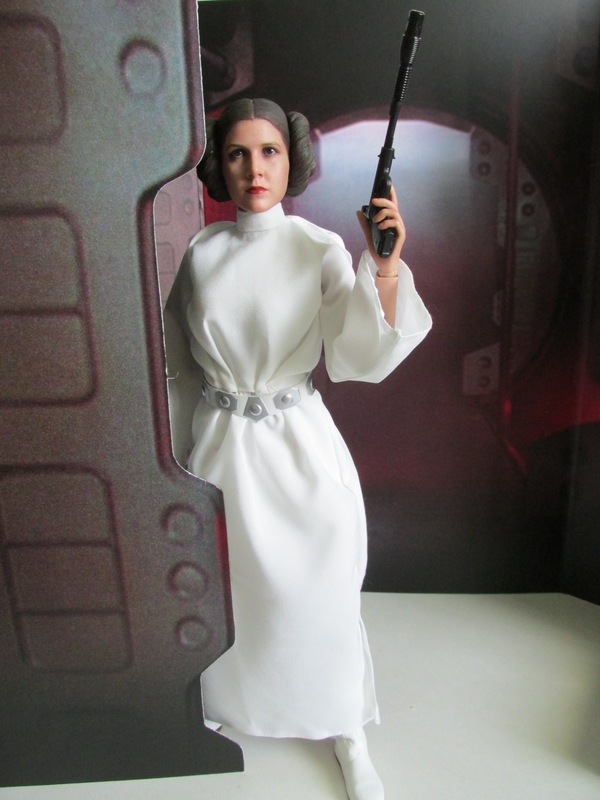 The back drop is a nice touch but nothing to rave about. I like the idea of back drops to come with figures but it is kind of clunky and when you are limited on space this can be an issue. However, it does look great with any Star Wars figure and can be easily manipulated to be any set from Star Wars. Overall, I'm happy to finish my collection of Hot Toys Star Wars products from A New Hope. There are many other characters in this line, but this completes the main cast line up. 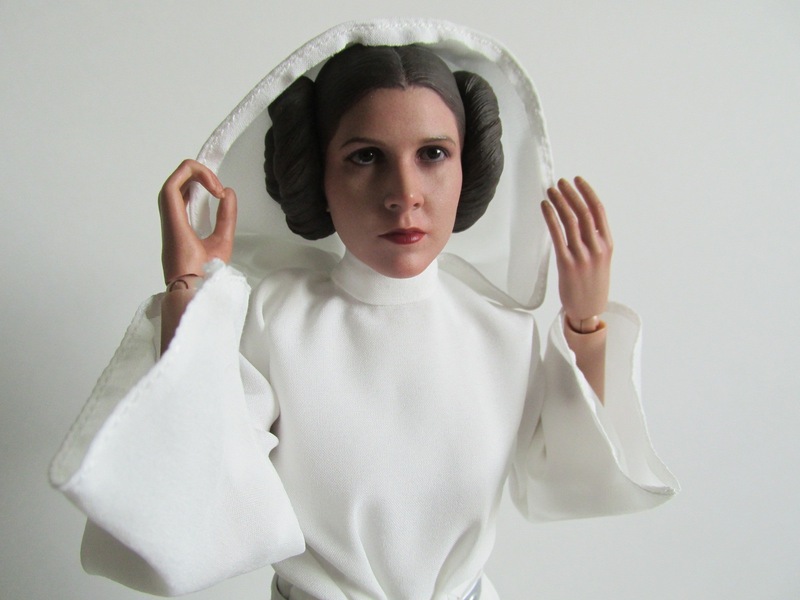 Currently, the exclusive version is on wait list on Sideshow but the regular version is still available.